A scholarly compendium for which the title is the synopsis. McNeil has convened a symposium of world-class scholars. The book gets off to a halting start on the tree’s botany that suffers from an over-reliance on Cuatracasas, much of whose half-century old fieldwork has been eclipsed by recent findings. 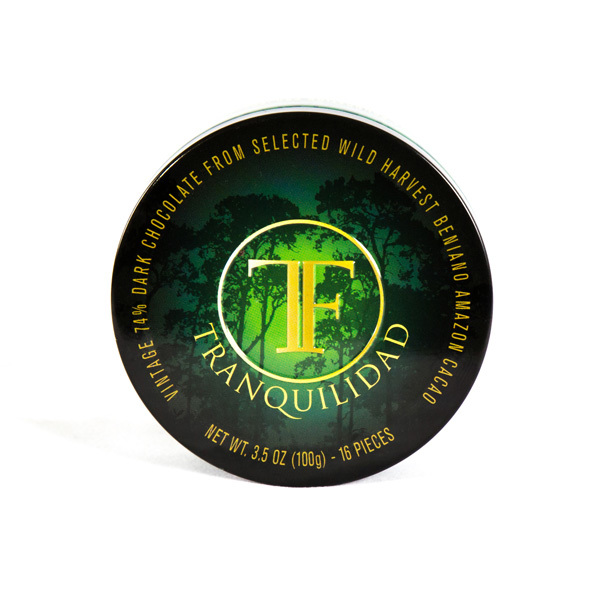 But the same opening chapter includes timeless information on ethnobotanical cacáo usage by aborigines – a treasure trove & tribute to the plant’s impressive range. Likewise the contentious 2nd chapter provokes skepticism over assertions about the origins of Theobroma cacáo trees in Mexico that are at odds with contemporary DNA analysis. 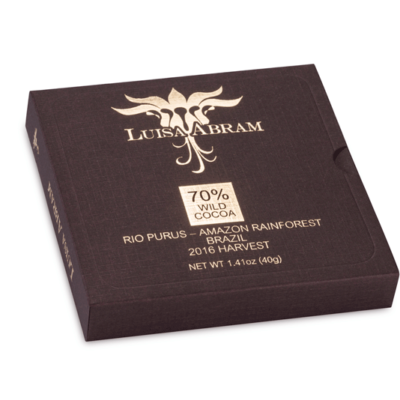 Part II turns to the real groundbreaking studies with “Cacao in Pre-Columbian Cultures”. Essays by John Henderson/Rosemary Joyce on its original invention as a straight-out fermented liquor rather than a chocolate-flavored beverage; & Simon Martin’s first-rate research on cacáo’s place in Mayan cosmology / religion (among the very highlights of the whole volume) set in motion a dramatic history covering sacred ceremonies & social performance aspects of cacáo that fix the hallucinating inner eye on the smashing of drinking vessels, Hendrix-style, during delirious encores in wuthering temples reverberating with Mayan plainsong to ‘bring on the rain goddesses’. 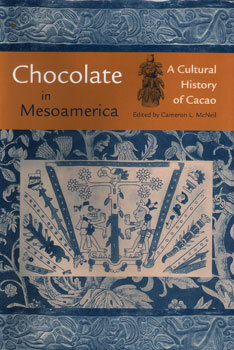 The editor’s own chapter, “Traditional Cacao Use in Modern Mesoamerica”, pivots the fulcrum of the entire book, bridging the past to present. Breakthroughs in hieroglyphics, linguistics, archeology, & chemical analysis have accelerated the field forward (including the unprecedented discovery of cacáo seeds sealed in a tomb some 1,500 years ago, like ‘still-fresh’ honey found buried in Egyptian pyramids). Assertions gleaned thru contemporary ritualistic use, however, cannot settle the questions whether these ceremonies are truly continuing survivors of Pre-Columbian traditions, or how much may have been altered by Colonial experience & modern experimentation. In short, are they embedded widespread cultural memes or just isolated cults, playing off myths? Interestingly, Prof. Marcy Norton in a separate book titled Sacred Gifts, Profane Properties speculates the latter: “It is even possible that they assumed a greater importance in the clandestine colonial context than they had in the old days”. Whatever their precise influences & prevalence, McNeil, along with Jaime Lara’s Texts for Aztecs and City, Temple, Stage advances a durable argument that what emerges from indigenous culture is neither a surrendering to conquest nor a covert survival of pre-Columbian ways. Instead, it seems, the interaction between Old Europe & the New World streams far from a one-way street toward something more fluid & bi-directional. A new feedback model is what is needed here. 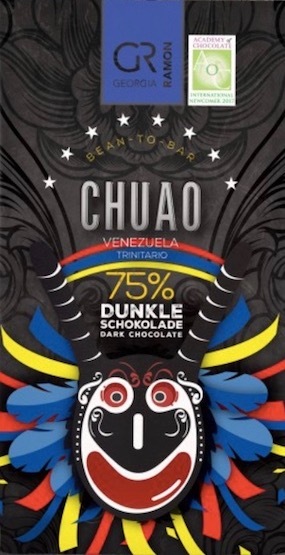 Chocolate in Mesoamerica culminates with an intensely relevant chapter on how history lives on in present-day Belize where everything in 21st century cacáo comes together, forming an extension of Mayan culture among the descendents of Mopan & Q’eqchi’, & their community conflicts pitting traditional land use & ceremonial cacáo trees against opportunistic modern commodity markets & global trading, a dynamic in which the torched is passed… the saga continues… & cacáo grows on. Like Bartley’s Genetic Diversity of Cacao, this book & these scholars guide significant passages throughout the C-spot’s™ Chocolate Atlas, particularly in the extended section on Mexico. It merits space on the top shelf of the bookcase as essential reading save for its academic rigor (too arcane for many) & price ($75 for the hardcover, which should be able to purchase color prints instead of the B&W photos included – excellent though they are, so consider the paperback edition instead at roughly 1/3 the price) because McNeil’s book does for Pre-Columbian Mesoamerican cacáo what Sophie & Michael Coe’s True History did for Post-Columbian Western chocolate: Chocolate in Mesoamerica elevates it in a cumulative celebration that ends up the definitive, authoritative source. d) archeologists suffer from butterfingers & are always dropping priceless treasures on the ground.